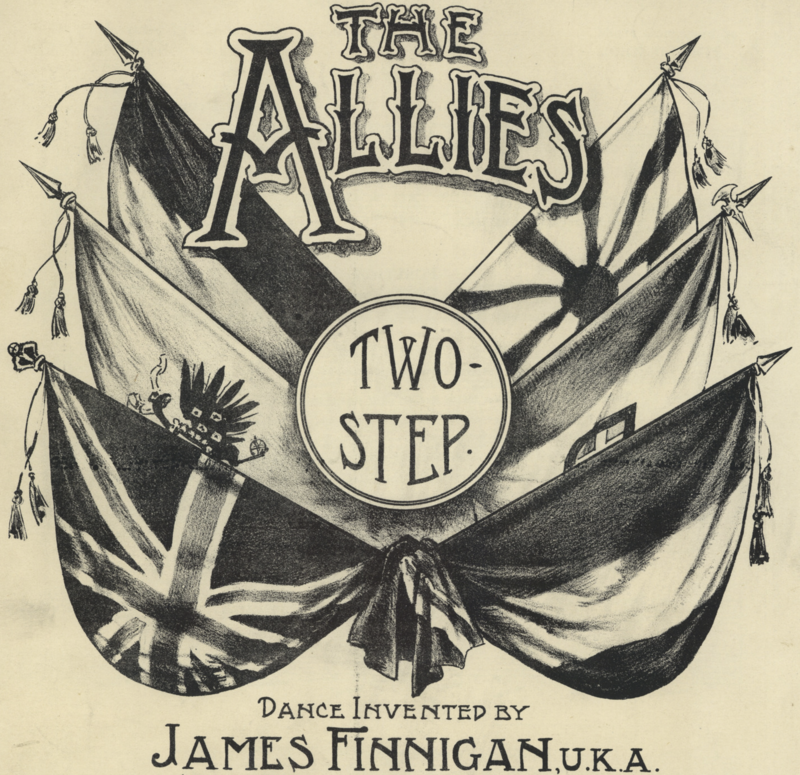 This is a simple yet satisfying early English sequence two-step composed by James Finnigan in 1915, in honor of the Allies in World War I. Part I - Advance and Retire (4 bars): Promenade three quick steps along LOD (1, 2, 3), then point inside foot along LOD (4). Then "retire" three quick steps against LOD (5, 6, 7), and point outside toe slightly across in front of inside foot (8). Part II - Stalking Walk (4 bars): Promenade four slow steps along LOD, dipping on each step (1, 3, 5, 7). Part III - Three Slides Out and Back (4 bars): Three slides along LOD (1-and-2-and-3), and "stretch" along LOD (4), then three slides against LOD (5-and-6-and-7), and "stretch" against LOD (8). 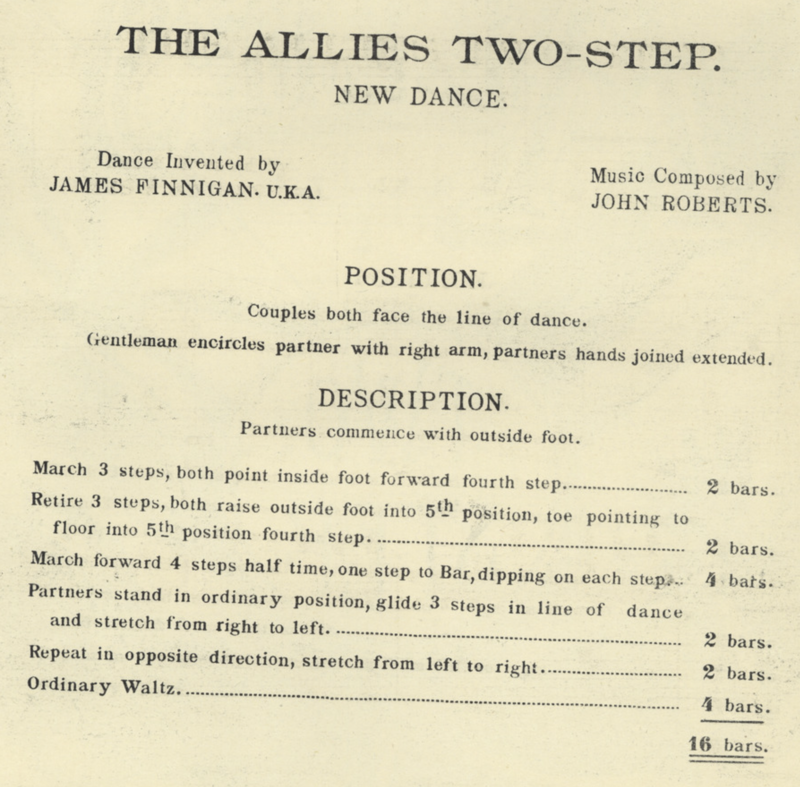 There's an eponymous tune composed specifically for the dance by John Roberts, but any square, early 20th century two-step will work nicely. James Finnigan. (1915). The Allies Two-Step, New Dance. London.